Are there any qualifications or other criteria that I need to join? For Operational roles, you must own a fully road legal 4x4, and not have more than 6 points on your driving licence, which you must have held for at least 3 years. We ask that all members undergo a formal identity check and a vetting check. We do this because, amongst other reasons, many of our deployments will find us transporting vulnerable people. Before being deployed operationally, we require you to attend a training day, in order to familiarise you with our operating procedures, and give you information on how to act when deployed. 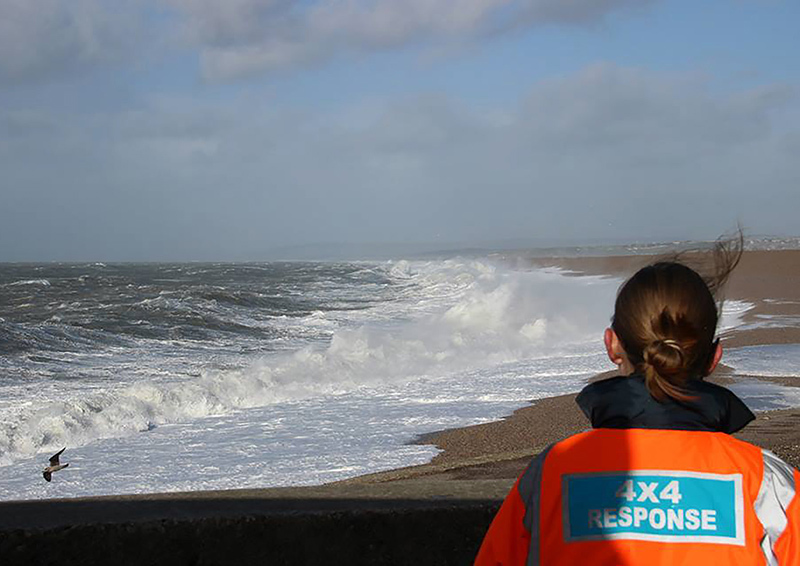 We also have opportunities for non-operational members to help us in many different support roles, for example: Fundraisers, or Controllers to manage the deployments and liaise with our service users; or you may have other qualifications, skills or experience that you may bring for the benefit of our charity. Last and not least, it's good to have some enthusiasm and a willingness to help others in difficult situations (you probably wouldn't be reading this page if you didn't). There is no binding commitment. 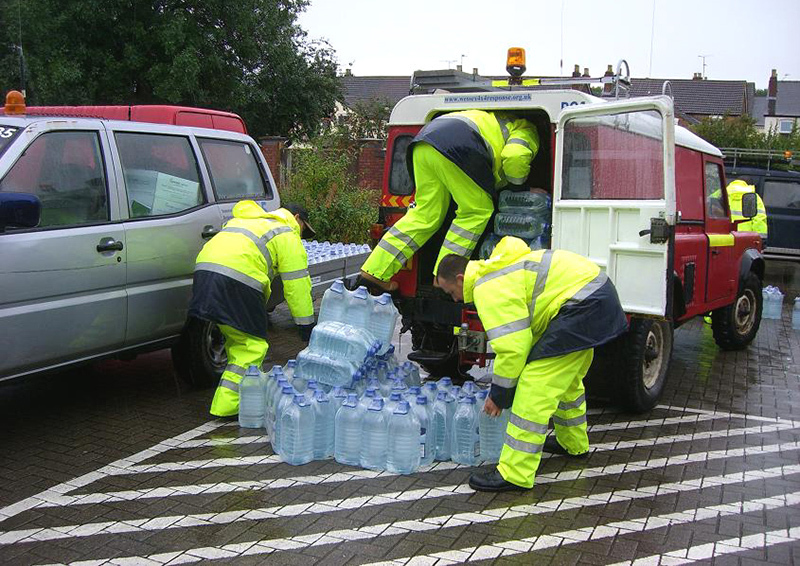 All our members are volunteers, which means that you can give as much time, or as little time, as you can afford with no obligation at any time to individually respond to any callout. As a group we are on call 24 hours per day, 365 days of the year, each responder only need contribute what fits with their other life commitments. If a member can only contribute a few times a year, that's still valuable, as every deployment undertaken is one more that may otherwise not have been covered. Our system works on the basis of having sufficient numbers of members, that there will always be a percentage that will be available at any time, whatever the time of day, week or year. Do I get paid? Will it cost me anything? 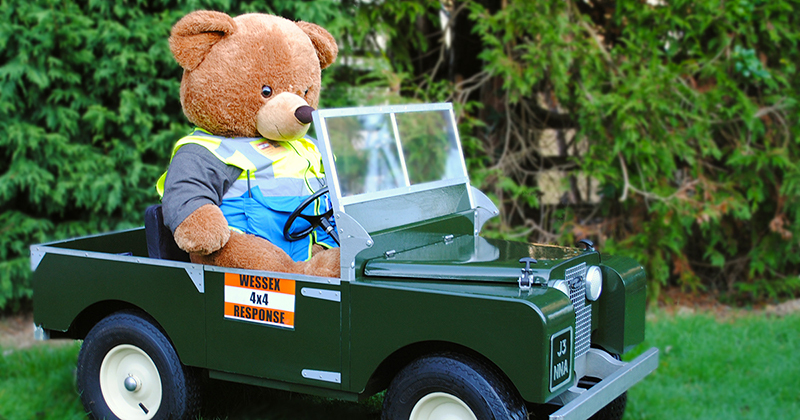 Our Charity is made up entirely of unpaid volunteers, who give their time and use of their own 4x4 vehicles, to help the emergency services, local authorities and health services in emergency situations, where their normal transport is unable to cope because of the weather or terrain, or their transport resources are depleted due to other concurrent incidents. 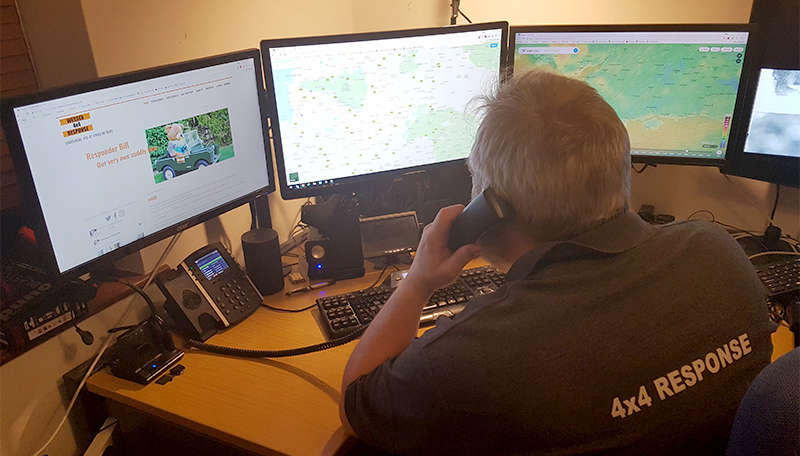 Members will receive free training in how we operate and what to do when called out, and will be able to claim for any fuel expenditure incurred when deployed. We do ask for a small annual membership fee, £25 in the first year and £15 in subsequent years. This is to cover the equipment issued and administrative costs; We also hold a free social event for members at our AGM weekend. Do I need a tooled up truck? No. 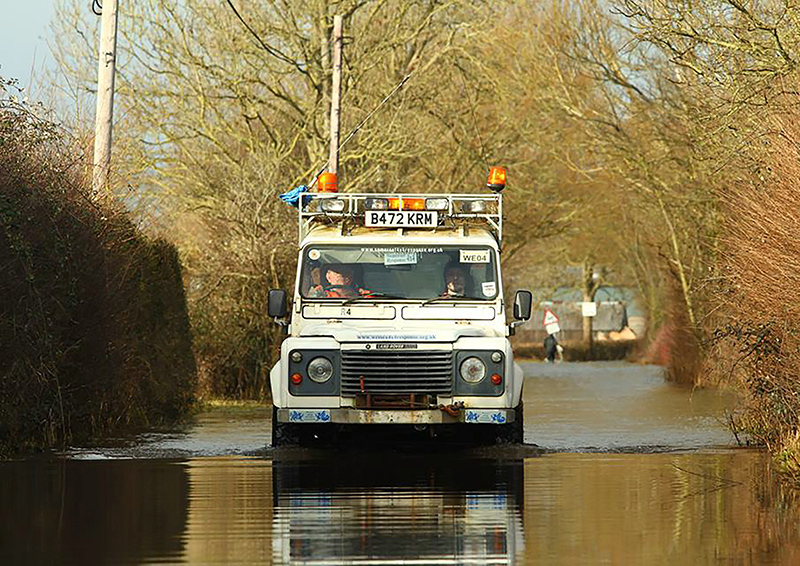 There is a place for all types of all wheel drive vehicles in a 4x4 Response group. Some of our members have competition standard 4x4 vehicles fitted with mud tyres, winches, CB and Amateur Radio and any number of 'toys', others have standard unmodified family 4x4 saloon cars which don't stand out in a supermarket car park. Each vehicle type has it's uses, as comfort for a passenger on a hard packed snow road is as important for some incidents as the ability to cross a ploughed field would be in others. Having said that, 95% of our callouts are on public roads, if you have a 4x4, whatever it's make, we have a role for it. Our member's vehicles vary from Land Rover Defenders to a Porsche Cayenne, one of our members has a 6x6 Argocat, and yet another has access to a hovercraft! If it can travel safely where a normal two wheel drive road vehicle cannot, it's good to go! To start the process of joining our group, please complete this online application form. Once completed, a copy will be sent to our Membership Secretary who will contact you with initial information and to introduce you to your team manager. Your team manager will then contact you to arrange an initial meeting to complete the forms required for joining. This needs to be a physical meeting as the team manager will need to witness your signature and see the original id documents. 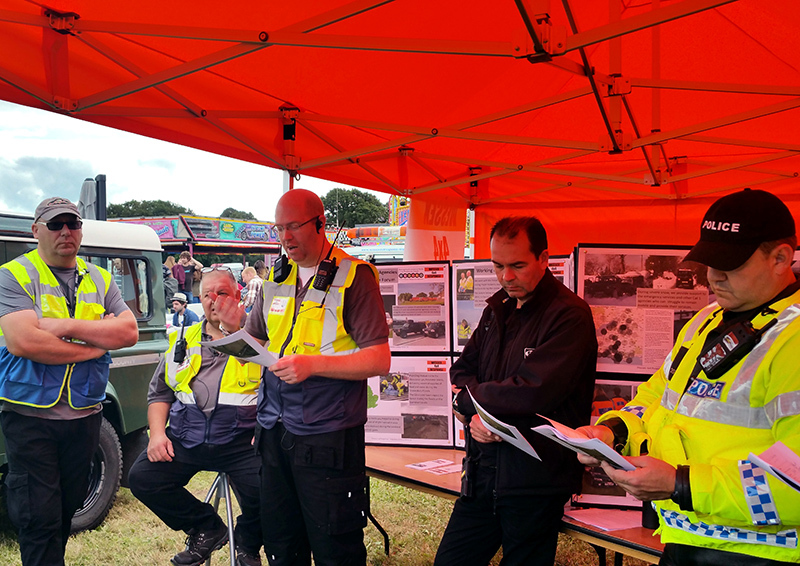 The meeting will also give you an opportunity to ask any further questions you may have about 4x4 Response, what we do and how you can be part of our support to the community. Please allow a minimum of two weeks for your application to be processed, we are all volunteers after all! If you haven't had a reply after a couple of weeks, it is possible an email has got lost in a spam trap. Please feel free to get in touch via the contact us form or alternatively message us through our Facebook page to check on progress. If you have any questions that are not answered above, then please don't hesitate to contact us.